Even with the added hardware that lamp still looks relatively normal. But its behavior is more than remarkable. The lamp interacts with people in an incredibly lifelike way. This is of course inspired by the lamp from Pixar’s Luxo Jr. short film. But there’s a little bit of most useless machine added just for fun. If you try to shut it off the lamp shade is used to flip that switch on the base back on. 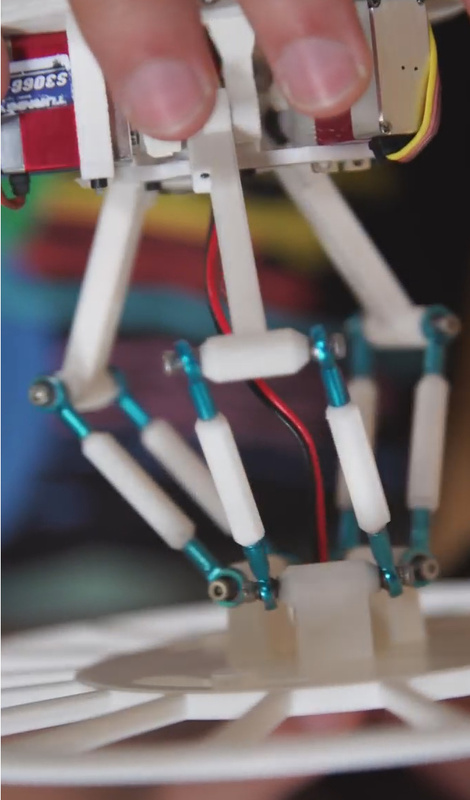 [Shanshan Zhou], [Adam Ben-Dror], and [Joss Doggett] developed the little robot as a class project at the Victoria University of Wellington. 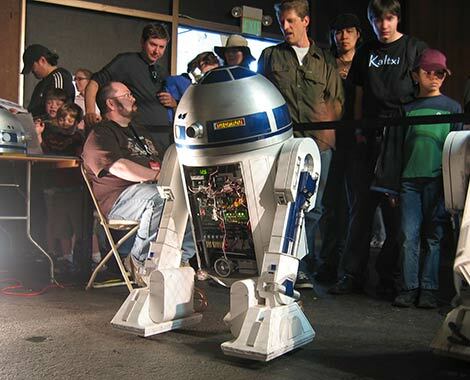 It uses six servo motors driven by an Arduino to give the inanimate object the ability to move as if it’s alive. There is no light in the lamp as the bulb has been replaced by a webcam. The image is monitored using OpenCV to include face tracking as one of the behaviors. All of the animations are procedural, making use of Processing to convey movement instructions to the Arduino board. Do not miss seeing the video embedded after the break.